Speaking Boldly. Changing the World for Christ. Not only is this verse a benediction [L to speak well], it encompasses the scope and breadth Stoa’s forensics-based mission. Stoa believes human speech, the ability to communicate with the spoken word, is “from” God and that it is only “through” the triune God that we can speak with grace, truth and beauty. Stoa believes all things, only one of which is speech, are “to” God or are directed to His purposes. Stoa emphatically stands for these key Biblical principles as it helps to develop young people into winsome and God-honoring orators in all walks of life. 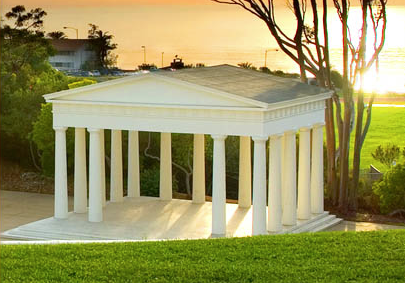 In the broad sense, Stoa embodies an entire culture of thought, public discourse, apologetics, and intellectual inquiry. Emblematic of the Western Civilization and representative of the many goals we are reaching for in our children as we strive to bring them up in the fear and admonition of the Lord. 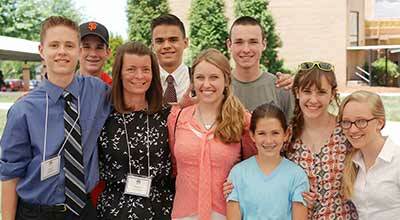 Training homeschool students to speak boldly and change the world for Christ. Facilitate opportunities for competition and training. Build a world class community. 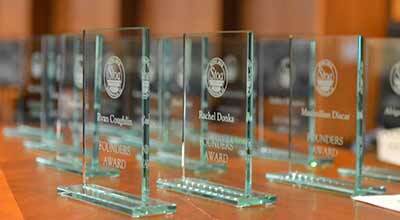 Equip Christian coaches in the art and science of public speaking and debate excellence. Promote the development of a Biblical worldview. Share the benefits of speech and debate around the world. Start new Stoa speech and debate clubs around the world. We are committed to following established process and structure. We are organized and communicate effectively. We promote a transparent culture of servant hearts. We communicate a clear vision and mission. We promote integrity and honesty in every situation. Stoa was established on the model of our nation’s founding fathers with a commitment to limited central government and maximum local control. Stoa trusts local leaders to know how best to serve their local communities in administering their own local tournaments. Stoa offers approximately 100 tournaments nationwide during each tournament season. Tournaments are held from Hawaii to Washington DC, from Seattle to Tampa! Stoa tournaments are all open to families from around the country. Stoa is building a world class community of speakers, debaters, and family members who are committed to Speaking Boldly and Changing the World for Christ in their homes, churches, communities, at colleges and universities, and in the workplace. In ancient Athens, people would gather at public buildings to listen to politicians, philosophers, and poets. Greece’s Mediterranean climate rendered the interiors of these buildings unsuitable for crowds much of the year. 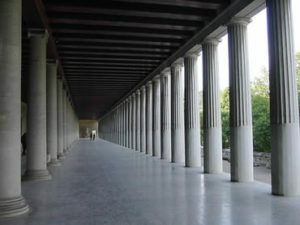 Architects therefore designed the Stoa, the long covered porches fronting or surrounding buildings, often with a double colonnade, that became the symbolic feature of classical Greek architecture. Here, in a shaded but well-lit and well-ventilated space, people could gather to conduct business or test new or competing ideas. It was in such a setting where the Apostle Paul delivered his famous speech in Acts 17 when he challenged the beliefs of the Epicureans and Stoics. 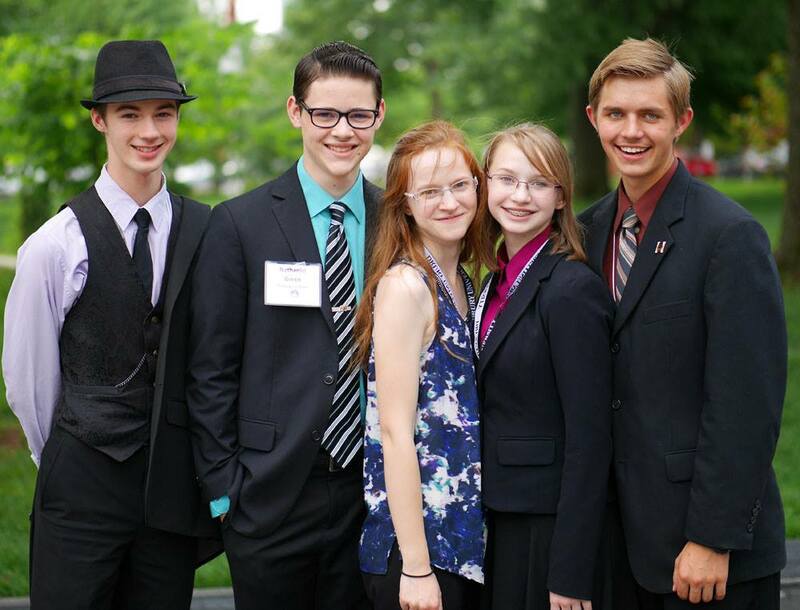 In the same way that stoa existed to provide a place for public speaking, debate and the exercise of rhetorical skills, Stoa exists to provide locally-organized opportunities for friendly forensics competition in public speaking and debate for privately educated Christian homeschooled students. “The Stoa league broadened my thinking and improved my speaking skills beyond what I thought possible. Stoa speech and debate teaches students to critically analyze the events of the world around them, to understand opposing opinions, to defend their personal beliefs, and to articulate their views with confidence, clarity, and conviction. The competition breeds the determination to improve and excel, driving students to write, research, and speak with excellence. Students learn how to conduct themselves professionally not only in front of an audience, but also in conversations with peers and adults. I always relished these conversations of love and encouragement. God has changed my life through the people of Stoa and the speaking and debating skills the Stoa league has fostered in me. Through the Holy Spirit, I have been able to speak at an international conference, lecture, coach, and preach messages of hope in various settings. My Stoa training has made public speaking a reality and a joy for me. God is using the Stoa community of believers in kingdom-advancing, globe-altering, earth-shaking ways. Thanks to Stoa speech and debate I can and will continue to speak boldly and change the world for Christ. Stoa Membership opens August 1st! Join us for a wonderful year of Speaking Boldly. Changing the World for Christ. 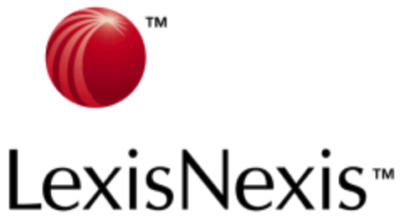 LexisNexis research database available at low cost to Stoa members.